Go to original pattern for design DROPS 153-37. 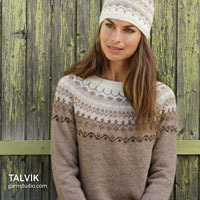 Crochet DROPS hat in "Bomull-Lin" or "Paris". 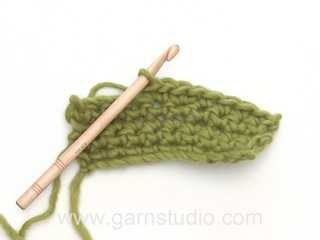 DROPS CROCHET HOOK size 4 mm / G/6 – or size needed to get 17 sc/dc = width 10 cm / 4''. 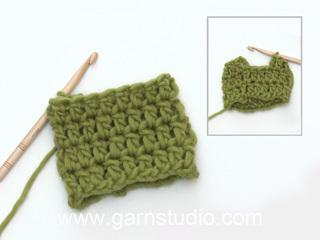 You can get the yarn to make this pattern from	11.25$. Read more. At beg of every sc round, replace 1st sc with 1 ch and finish every round with 1 sl st in first ch from beg of round. Replace 1st dc at beg of dc round with ch 3, finish every round with 1 sl st in third ch from beg of round. 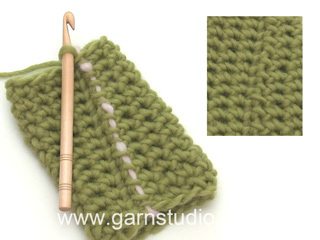 Dec 1 sc by working 2 sc tog as follows: * Insert hook in next sc, get yarn *, repeat from *-* one more time, make 1 YO and pull yarn through all 3 sts on hook. The piece is worked top down. Work 4 ch on hook size 4 mm / G/6 with Bomull-Lin or Paris and form a ring with 1 sl st in first ch. 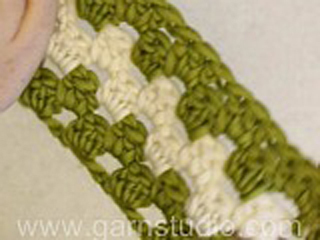 ROUND 1: READ CROCHET INFO! Work 5 sc in ch-ring. ROUND 2: Work 2 sc in every sc the entire round = 10 sc. ROUND 3: * 1 sc in first sc, 2 sc in next sc *, repeat from *-* the entire round = 15 sc. ROUND 4: * 1 sc in each of the first 2 sc, 2 sc in next sc *, repeat from *-* the entire round = 20 sc. ROUND 5: * 1 sc in each of the first 3 sc, 2 sc in next sc *, repeat from *-* the entire round = 25 sc. ROUND 6: * 1 sc in each of the first 4 sc, 2 sc in next sc *, repeat from *-* the entire round = 30 sc. ROUND 7: * 1 sc in each of the first 5 sc, 2 sc in next sc *, repeat from *-* the entire round = 35 sc. ROUND 8: * 1 sc in each of the first 6 sc, 2 sc in next sc *, repeat from *-* the entire round = 40 sc. ROUND 9: * 1 sc in each of the first 7 sc, 2 sc in next sc *, repeat from *-* the entire round = 45 sc. ROUND 10: * 1 sc in each of the first 8 sc, 2 sc in next sc *, repeat from *-* the entire round = 50 sc. ROUND 11: * 1 sc in each of the first 9 sc, 2 sc in next sc *, repeat from *-* the entire round = 55 sc. ROUND 12: * 1 sc in each of the first 10 sc, 2 sc in next sc *, repeat from *-* the entire round = 60 sc. ROUND 13: * 1 sc in each of the first 11 sc, 2 sc in next sc *, repeat from *-* the entire round = 65 sc. ROUND 14: * 1 sc in each of the first 12 sc, 2 sc in next sc *, repeat from *-* the entire round = 70 sc. ROUND 15: * 1 sc in each of the first 13 sc, 2 sc in next sc *, repeat from *-* the entire round = 75 sc. ROUND 16: * 1 sc in each of the first 14 sc, 2 sc in next sc *, repeat from *-* the entire round = 80 sc. ROUND 17: In size L/XL work: * 1 sc in each of the first 19 sc, 2 sc in next sc *, repeat from *-* the entire round = 84 sc. In size S/M inc 1 st on round = 81 sc. There are now 81-84 sc on round. Work 1 sc in every sc until piece measures 11-12 cm / 4½"-4 3/4" from the middle. ROUND 1: Work 3 dc in first sc, * skip 2 sc and work 3 dc in next sc *, repeat from *-* the entire round and finish by skipping 2 sc = 27-28 dc-groups. ROUND 2-9: Work ch 3, skip first dc-group from previous round, * 3 dc in space between the next 2 dc-groups *, repeat from *-* the entire round and finish with 2 dc in last space and 1 sl st in 3rd ch from beg of round. ROUND 10: Work ch 1, then 1 sc in every dc the entire round but DEC 1 sc in size S/M - READ DECREASE TIP ABOVE = 80-84 sc and finish with 1 sl st in 1st ch from beg of round. ROUND 11: Work * 1 dc in each of the next 3-3 sc, then 2 dc in next sc *, repeat from *-* the entire round = 100-105 dc. ROUND 12: * 1 dc in each of the next 4-4 dc, 2 dc in next dc *, repeat from *-* the entire round = 120-126 dc. ROUND 13: * 1 dc in each of the next 5-5 dc, 2 dc in next dc *, repeat from *-* the entire round = 140-147 dc. ROUND 14: Work 1 dc in every dc the entire round. ROUND 15: ch 1, then 1 sc in every dc the entire round. Fasten off. under HAT: Then continue as follows... ROUND 11: Work * 1 dc in each of the next 3-3 sc, then 2 dc in next sc *, repeat from *-* the entire round = 100-105 dc.